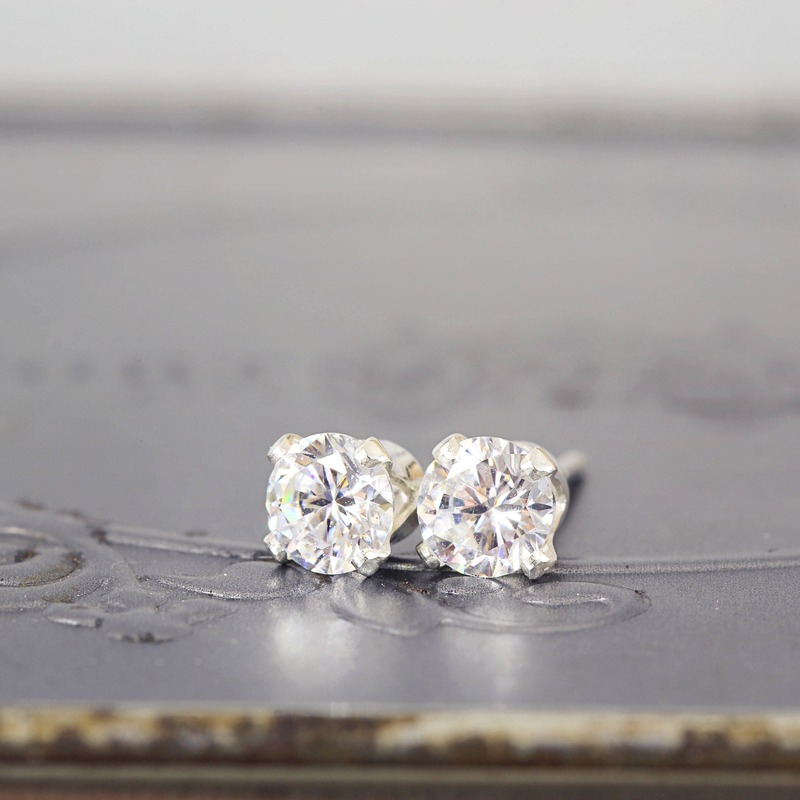 These sparkly CZ stud earrings are part of the Artique Boutique Bridal collection. They're perfect for wedding jewellery, whether that be as bridal earrings, bridesmaid earrings, a wedding gift, or if you are simply attending as a wedding guest. 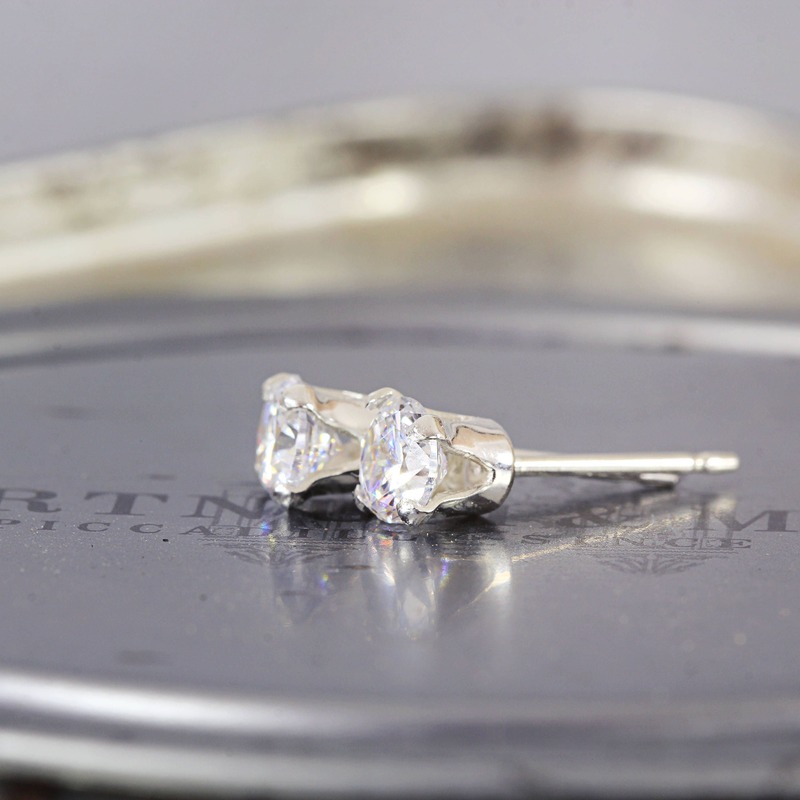 Alternatively, these simple studs can be worn everyday for a touch of classic elegance. 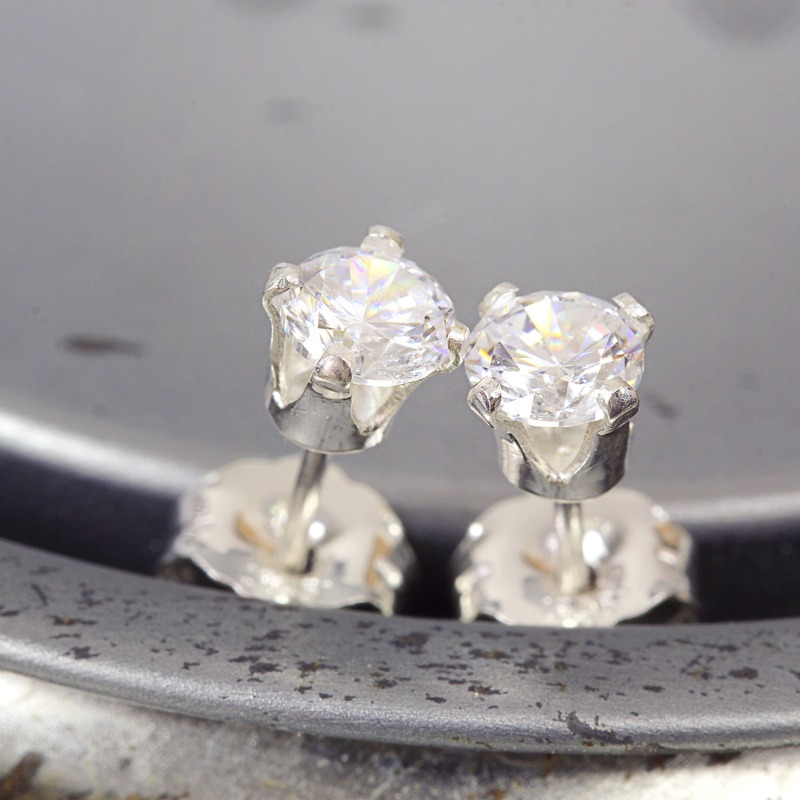 Featuring tiny (4mm), excellent quality (AAA), flawless cubic zirconia stones in a faceted round cut. These beautifully cut and well matched stones are set into sterling silver ear posts and come with matching butterfly backs. Also available in 14k gold fill (please see link further below). Cubic Zirconia is a man made material and commonly used as a diamond substitute due to it's remarkable likeness to a flawless diamond as well as it's amazing sparkle. 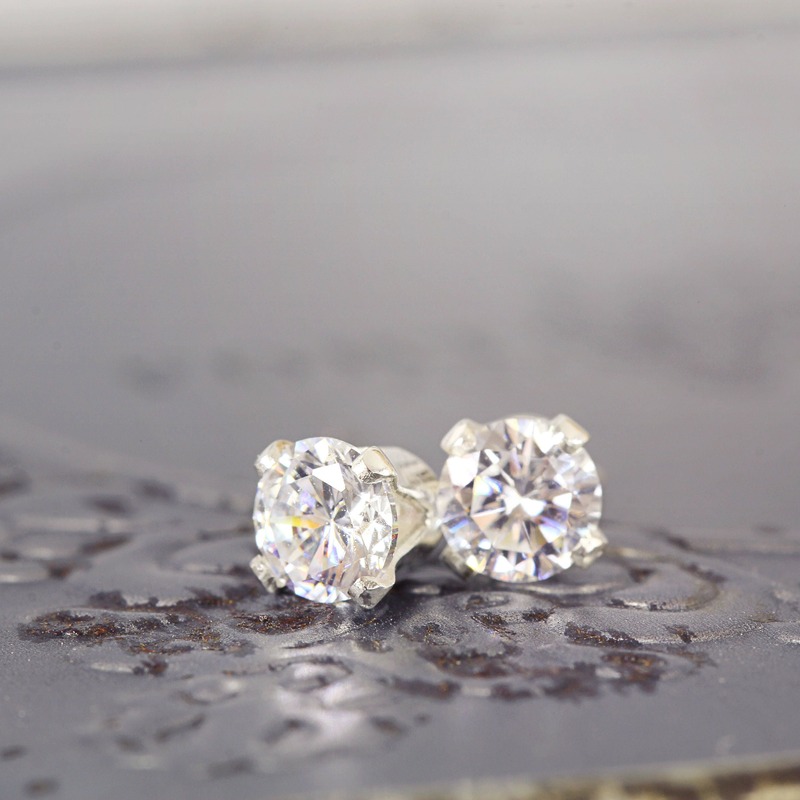 Dainty enough for everyday, but with tons of top notch sparkle to carry you through your evening or special occasion. 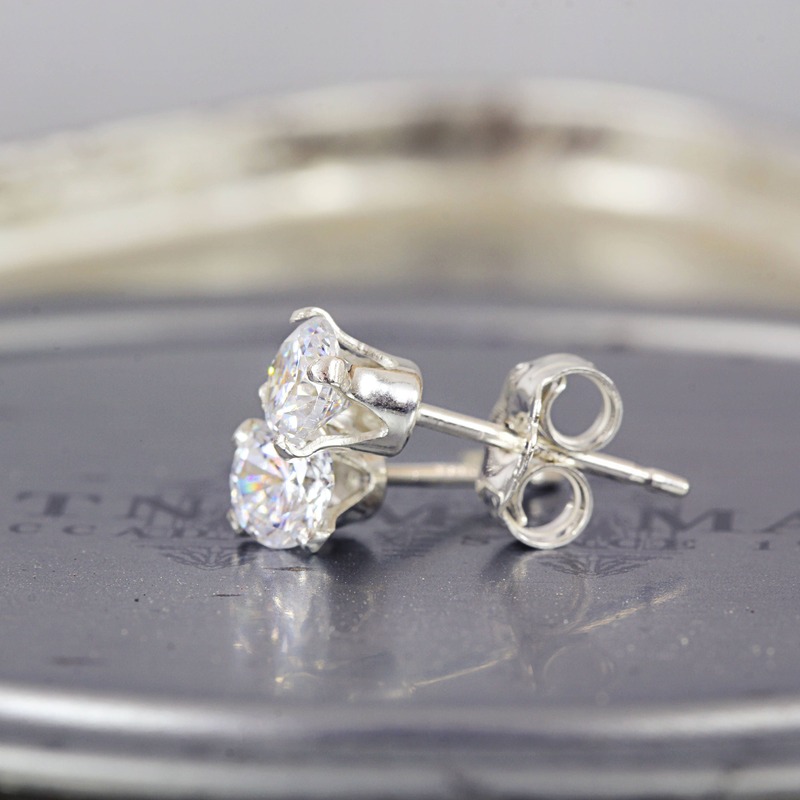 These stunning cz earrings will bring a beautiful twinkle to any outfit.